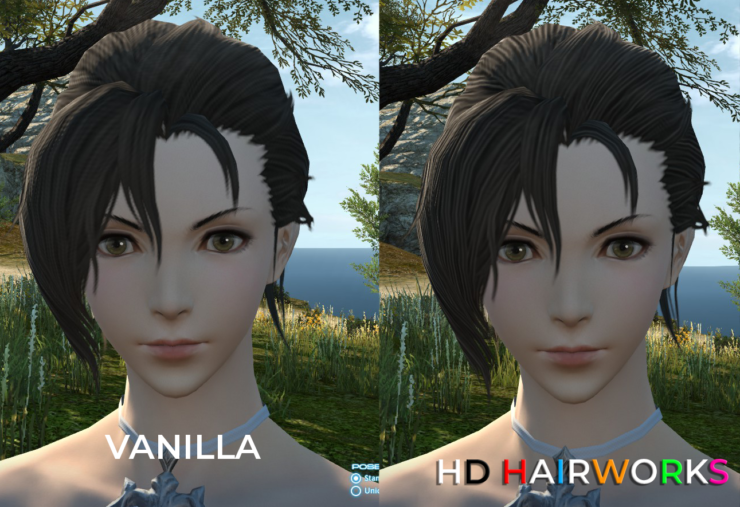 A new mod has been released recently for Final Fantasy XIV, the popular MMORPG developed by Square Enix now out on PC and PlayStation 4, improving some of the game’s textures. The new mod, called the Hairworks 2 Mod, introduces reworked hair textures for all races and genders. Textures were upscaled to 4x the original, edited and then downsampled to 2x the original size. Textures were Upscaled to 4x the original, Edited on in Photoshop in many areas hand-drawn touch ups using a HUION Q11K. Then the finished work was downsampled to 2x the original size. 1. Download the mod file and unpack it anywhere you like but remember where it’s saved. 2. Download and install Liinko’s Textools 1.8.5 or Higher and launch the program. 4. Find the .ttmp file you downloaded and import all the textures. 5. Congrats! you just installed about 2 months of my life spread about and across 778 textures. <3 I hope you enjoy it! Final Fantasy XIV is now available on PC and PlayStation 4 in all regions.